At klee.dk you can download some of our catalogs as PDF files. They are to be found in the respective product sites and it does not require you to be logged in to download catalogs. 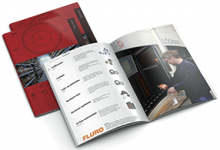 If there is a catalog you cannot find please send us an email at klee@klee.dk and we will try to help you.